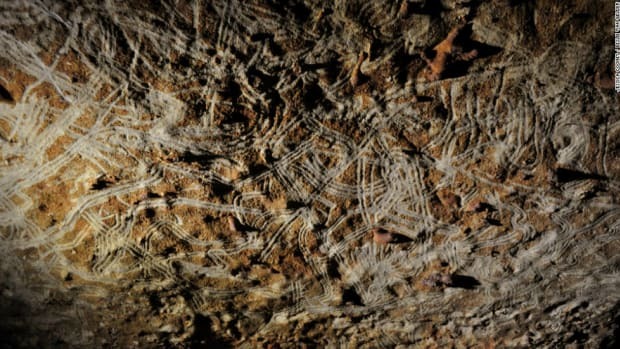 Paintings found on limestone cave walls in Indonesia may date back at least 40,000 years, as long as the earliest art found in caves in Western Europe. 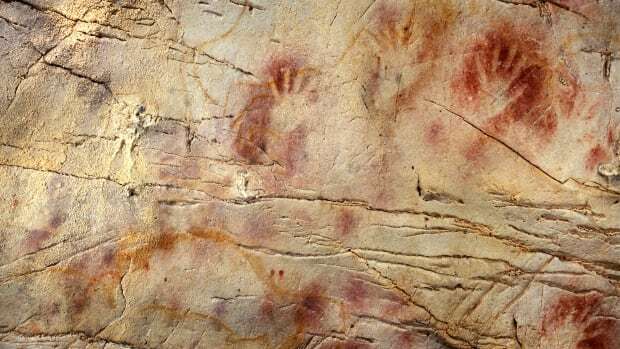 For decades after the series of cave paintings were discovered in the limestone caves and rock shelters on Sulawesi, scientists dismissed the possibility that they could have been created any more than 10,000 years ago. The region’s humid climate would have destroyed anything older, they reasoned. But according to the findings of a new study, reported this week in the journal Nature, the Sulawesi cave paintings are far older than previously thought, and may in fact be as old as the earliest European cave art. Led by Maxime Aubert and Adam Brumm of Griffith University in Queensland, Australia, a team of Indonesian and Australian researchers set out to date the paintings–or, more accurately–the bumpy layer of calcium carbonate that formed on top of them, using a technique known as uranium-thorium dating. By measuring the decay rate of uranium as it turns to thorium, the scientists could estimate the age of the mineral layer to a high degree of accuracy. 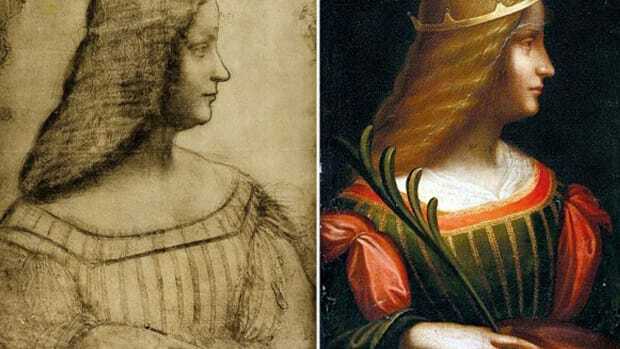 As this crust is presumably somewhat younger than the artwork it covers, the dating process gave them a minimum age for the paintings underneath. 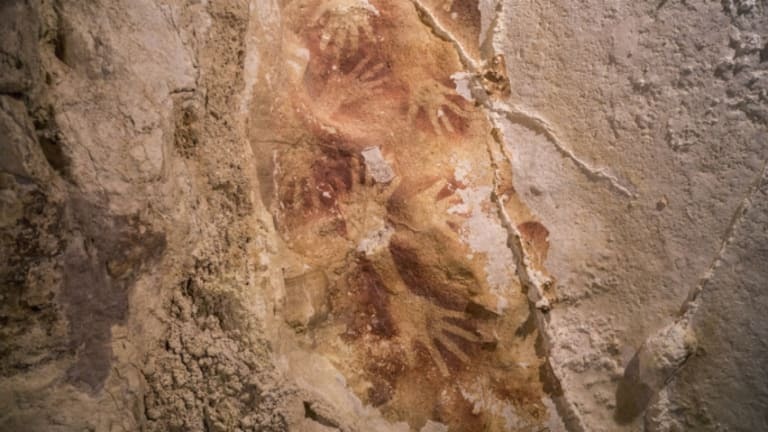 After examining 12 images of human hands and two depictions of animal figures found on the walls of seven different caves, the researchers found that one hand image was at least 39,900 years old. Though the practice of blowing or spraying pigment around a hand pressed to the rock’s surface would become common among cave artists through the ages (and continues among young schoolchildren today), the Sulawesi image appears to be the earliest example of its kind–some 2,000 years older than the minimum age of the oldest European hand stencil. In recent years, archeologists have used similar dating techniques to estimate the age of the oldest cave painting to have been discovered in Europe, a red disk painted on the walls of a Spanish cave called El Castillo that is at least 40,800 years old. 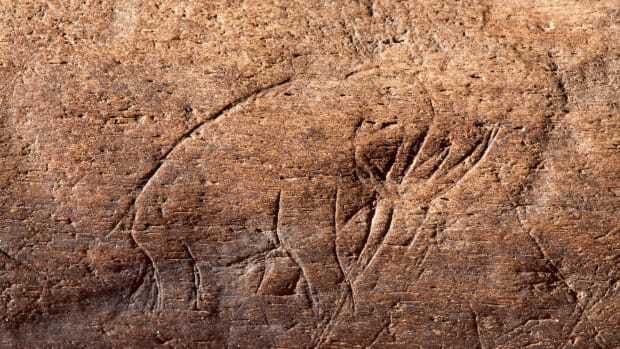 The earliest depiction of an animal found in Europe is a rhinoceros painted on the wall of France’s Chauvet Cave, which has been dated to between 35,300 to 38,827 years ago. Some scientists prefer the theory that cave art began in Africa, where the human species goes back some 200,000 years. Though archeological sites in Africa tend to be located in shallow caves where the conditions are not ideal for preserving such artwork, evidence of the use of pigments, engravings and personal adornments such as beads and other jewelry point to the artistic sensibilities of Homo sapiens long before they migrated to Europe and Asia. 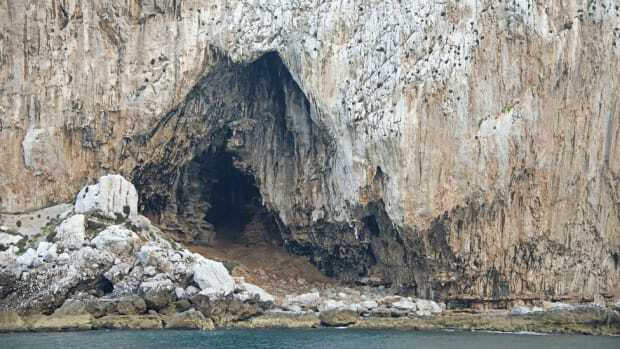 Did Neanderthals Create World’s Oldest Cave Paintings? 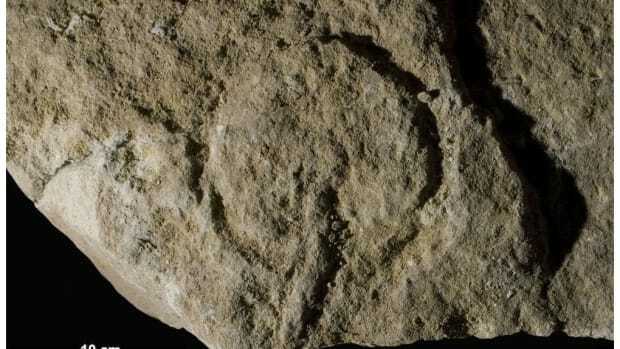 Earliest American Art Found in Florida?